Honduras Good Works originally received a grant from the Episcopal Diocese of Texas to fund a vitamin and anti-parasite medication program for 1000 primary school children for 2 years. 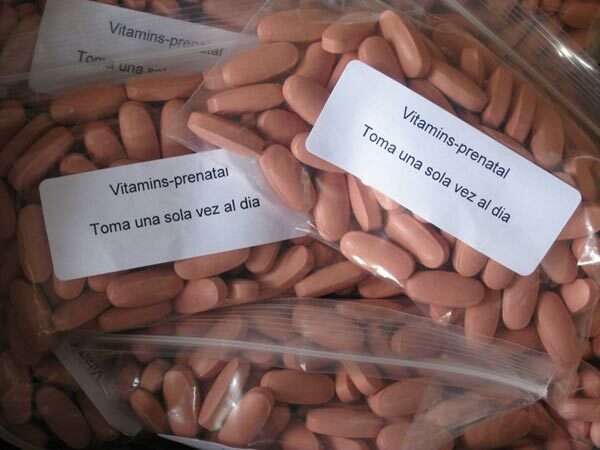 With these funds, Honduras Good Works was able to purchase the vitamins and medicines needed, and to retain the services of a lay pastor in Honduras who delivers the medicines to school teachers in over 40 different villages. Since then we have continued to raise money to continue this valuable program. We now are supplying a year’s supply of vitamins and anti-parasite medicine to 2200 kindergarten and primary school age children. On a monthly basis, the pastor drives to each village on his motorcycle and provides the teachers with one month’s allotment of vitamins and anti-parasite medications based on the number of children enrolled in the school. The pastor also in turn provides Honduras Good Works with reports on his activities. Vitamin A administration has been added to this program, as supplementation with this vitamin has been shown to diminish night blindness and to improve immune health in impoverished countries around the world.